Django Girls is an international community dedicated to teaching more women to code and getting more women into tech. Frustrated with always being the only girls in the room at any tech meet-up or conference, founders Ola Sendecka and Ola Sitarska set out to do something about it. 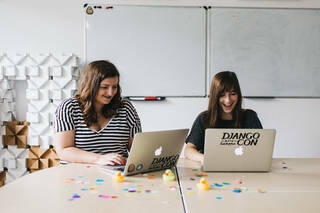 Three years on Django Girls now run workshops world-wide and offer women the opportunity to learn about programming and develop coding skills with a view to empowering their community and making the tech industry more gender-balanced. We're Ola Sendecka and Ola Sitarska. 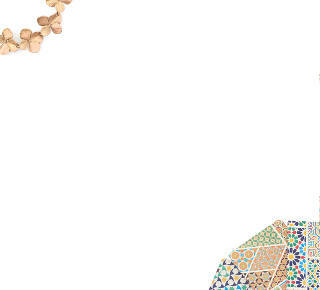 We're software developers and co-founders of Django Girls, an international non-profit organisation that has so far given 6,000 women an opportunity to learn basic programming skills in 64 countries around the world. Our mission is to make the tech industry more gender-balanced and inclusive by creating more accessible and friendly tutorials, as well as promoting incredibly talented women who are already working in IT. What inspired you to start Django Girls? Django Girls was also born from the frustration of always being the only woman at the meet-up, team or technical conference. We always stood out, we were always assumed to be non-technical, being there by accident or with a programmer-boyfriend. We started to notice that we were always the outsiders – a problem. We wanted women in coding and tech to become the norm, not an exception. What are your main tools of activism? The Internet has helped us spread our mission to 64 countries all over the world. Our workshops are free and all of our resources and materials are open sourced and ready to use by anyone, anywhere. We have become an online community where people interact and support each other no matter whether they live in London, Seoul, Lagos or Warsaw. Empathy has helped us design and write a programming curriculum that can finally be easily understood by beginners. By not using jargon and thinking like beginners, we are able to provide a great first experience. During the workshop we make sure to give attendees the freedom to follow their preferred way of learning. What do you hope to achieve with what you do? We hope to create a safe, welcoming space where women can learn without being judged and to give them a very good first experience of programming. We hope that in the future, the tech industry will be gender-balanced and free of sexism. We hope that the contributions of brilliant women in our industry will be recognised the same way as men. We hope that in a few years, workshops like Django Girls won't be needed anymore because our industry will become more equal as an industry standard. Django Girls has been highly influenced by brave women who have showed us that we can be involved in tech and programming. Role models are crucial in showing women that they’re capable of working in the tech field. 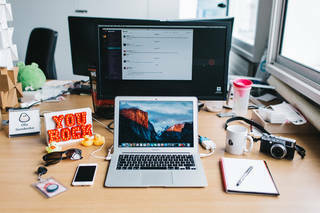 Our main sources of inspiration are Steve Shirley, a British woman who started an all-female software company in 1962 and Linda Liukas, who in 2009 started a similar organisation to ours called Rails Girls. We were involved in organising a technical conference this year and 52% of all speakers were women. We've brought the gender ratio up from 5% three years ago to 50%. Inclusivity and feminism is being talked about and even though it takes years to move the needle in the right direction just a little bit, we couldn't be more excited about how the tech industry is going to look like ten years from now.